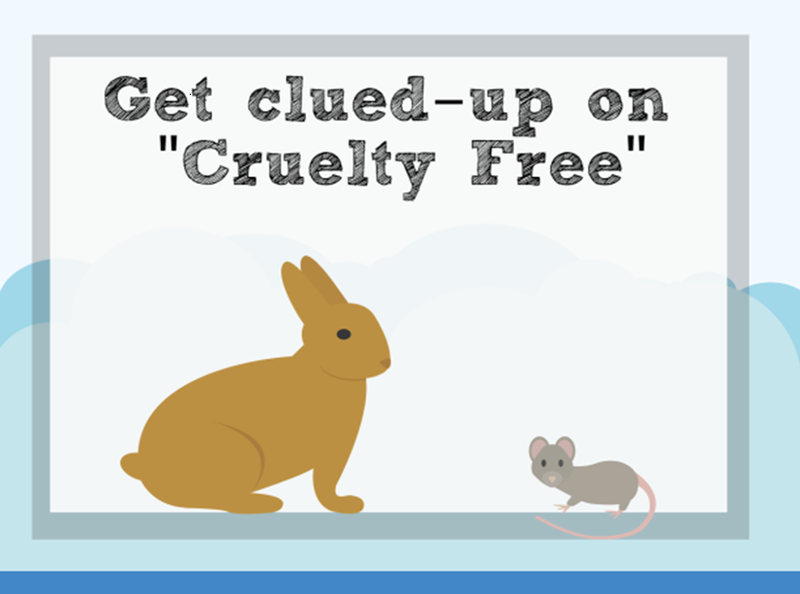 Cruelty-Free refers to animal testing. Brands that are cruelty free don’t test their products or ingredients on animals at any stage during the production of their cosmetics. What is a “Parent Company” and how does this affect my cruelty-free choices? A parent company is a company that owns other brands. Sometimes, whilst a brand may be cruelty free its parent company might not be. For example, The Body Shop and Urban Decay are both cruelty free brands however they are owned by L’Oreal which is not a cruelty-free brand. It is a personal choice whether you choose to buy from cruelty free brands with non-cruelty free parent companies. Many cruelty-free shoppers choose to email the brands to ask whether their profits are recycled within the cruelty free brand or if any go to the parent company and make their choices that why. What is the EU ban? In March 2013 the EU declared that animal testing and any profiting from animal testing is wrong and subsequently imposed a ban on the sale of animal tested products in the EU. This was a fantastic step forward for animal rights and also forced big companies to begin to research new and more effective cruelty free testing methods. Does this mean all products sold in the EU are CF? Sadly, no. 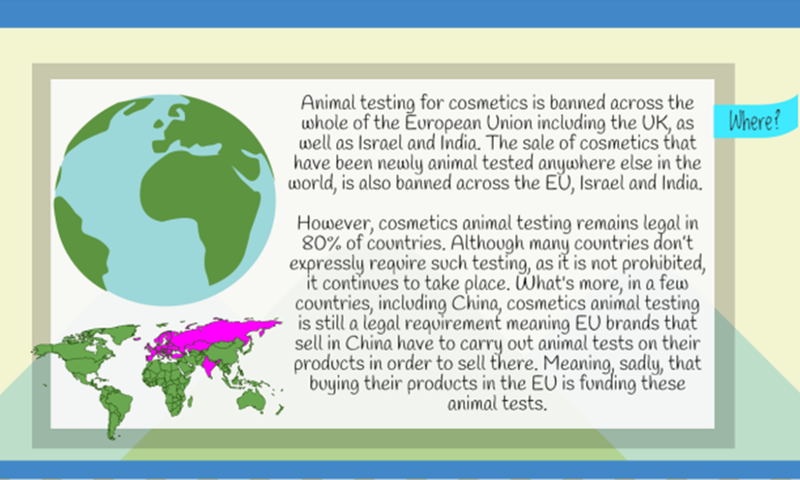 Whilst the finished products sold in the EU won’t have been tested on animals, the companies selling them continue to carry out animal testing for other global markets such as China and America. This means that although the product you wear on your face might not be tested on animals, the money spent on that product is still funding it. How does choosing to sell in China affect a company’s CF status? 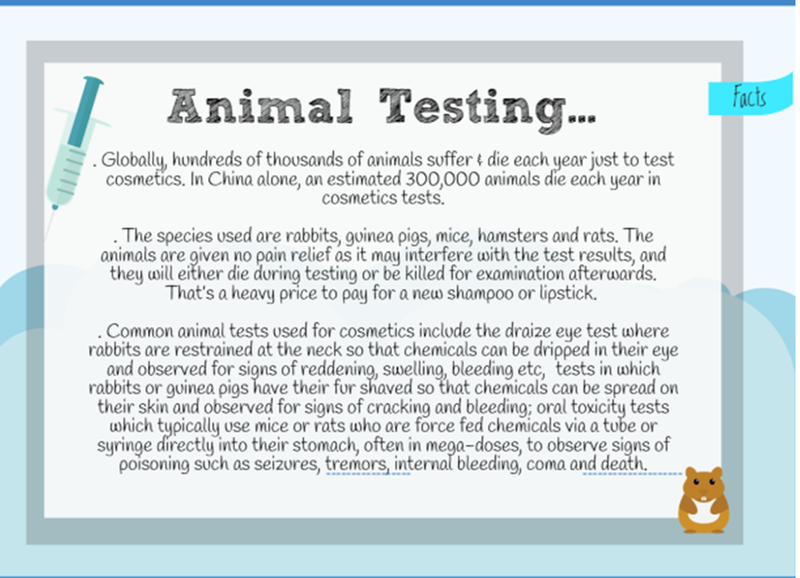 In China, animal testing is required by law for all foreign cosmetic companies. China is a huge market and this appeal has led to a backwards move by many brands including MAC, Clinique, Benefit and Estee Lauder (among many more) who are choosing to sell there for profit in spite of the unethical laws. Therefore any brand that sells in China is not cruelty-free. Often brands that sell in China but don’t want to put off their western consumers display a similar disclaimer to this: “We do not test on animals, except when required by law”. Will a cruelty-free brand always display a logo? No! 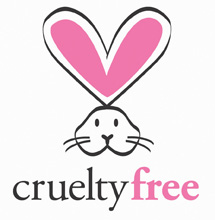 Whilst the bunny logos are a good guide when cruelty-free shopping, companies that do not display a bunny logo on their products may still be certified as cruelty-free by PETA or Cruelty-Free International. This is because companies have to pay to display the cruelty-free symbols on their packaging. There are many great cruelty-free companies that don’t display the bunny but ARE listed as cruelty-free by both organisations. So if you can’t spot a logo it doesn’t necessarily mean a company is not cruelty-free, double check using the Leaping Bunny or PETA databases. What is a misleading statement? 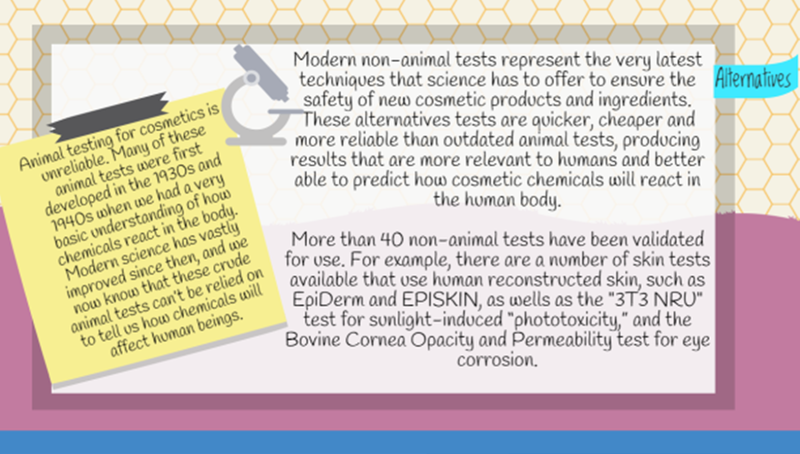 AGAINST ANIMAL TESTING – Some certified cruelty free brands use this however non CF brands will often use this too. It is misleading because whilst the company can say they are against animal testing they are not stating clearly that they do not test on animals. FINISHED PRODUCT NOT TESTED ON ANIMALS – Many will read this and believe the product is cruelty free. However wherever a company uses this statement it often means that the ingredients in the product have been tested on animals at some stage. 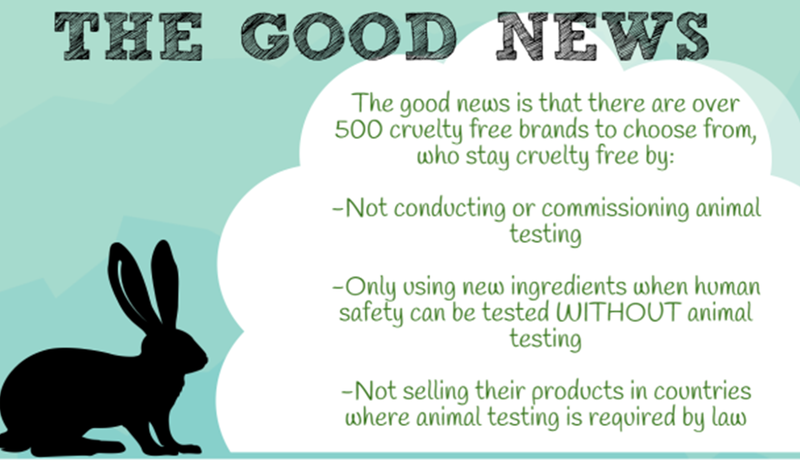 WE DO NOT TEST ON ANIMALS EXCEPT WHEN REQUIRED BY LAW – If a company’s statement says they test when “required by law” this means the company sells in China and is not cruelty free. WE DO NOT CONDUCT ANIMAL TESTING – Some companies will claim they do not conduct or carry out animal testing however companies will often pay other companies or the Chinese government to carry out the testing for them. NOT TESTED ON ANIMALS – Companies will sometimes display this on their products where that particular product has not been involved in animal testing. 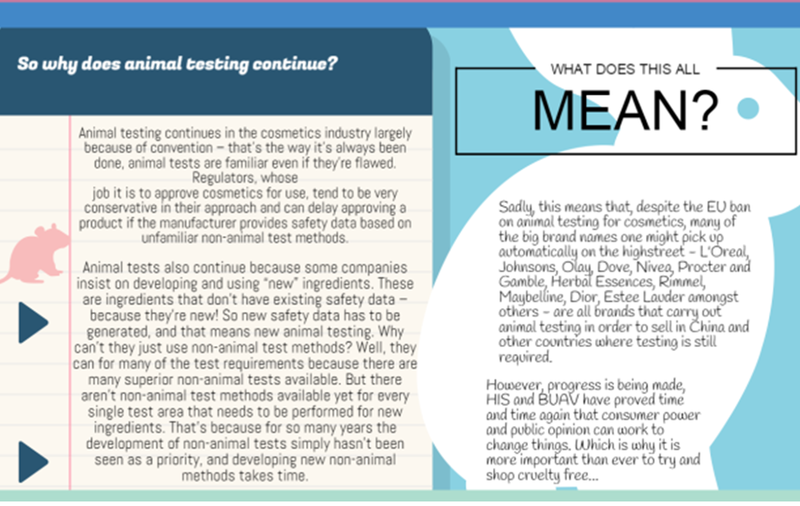 This can mislead the consumer to think that the brand as a whole does not test on animals. This is why it is so so important to support those companies that have always promoted cruelty-free beauty and will never test their products on animals.